Our expert Bookkeepers & Management Accountants provide a complete range of services from your usual bookkeeping, BAS & payroll needs, right through to Management Accounting including Cashflow Florecasts & Budgets. Our services can be completely customised for you and you business needs. The answer to all your Bookkeeping needs! 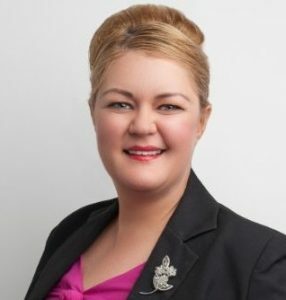 Our expert bookkeeping team have a fantastic reputation for taking away businesses’ stress, hassle plus sorting and cleaning up even the messiest of client’s books, to ensure they can spend more time with their family and enjoying the good things in life. We offer a range of fantastic packages customised bookkeeping packages to suit our clients individual needs including software, training, payroll, BAS and debt collection. We provide regular and casual Xero, MYOB, Quickbooks, Sage One, bookkeeping to clients. Our services are flexible – if you require help with a particular item such as bank reconciliation or entering in payroll we’re able to help. No job is too big or too small. Business improvement – having a challenge? If we can’t help, it’s likely we can direct you to someone who can, including specialists in sales and marketing training. 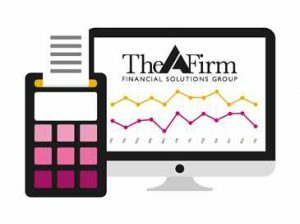 Financial Reports analysis – we can tell you what is working, or not. Before you start your data entry you need to have the correct foundations in your Xero, MYOB, Quickbooks, Sage One, file. 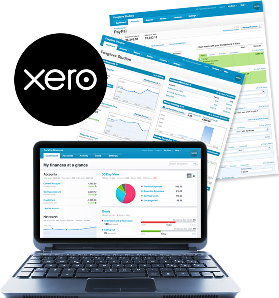 We have a number of highly experienced staff members that are able to setup a Xero, MYOB, Quickbooks, Sage One, data file to suit your business’ individual needs. If you have an existing data file and need to transfer into another file we can assist with importing and exporting so the transition is as smooth as possible. Want to see how your business will be performing in a few years down the track or how you will benefit from sticking with a budget. Why not ask one of our experienced consultants to organise today for you. Need help preparing your Xero, MYOB, Quickbooks, Sage One, Employee Payment Summaries (aka Group Certificates) so you can start entering in next financial year’s wages? We can help! We have a number of trained and experienced staff members that are able to take the stress out of preparing your payment summaries. All clients need to do is make sure all pays are entered to 30 June and we’ll do the rest. It’s the quick and easy way for a smooth year end roll over. Once your Expert accountant has prepared your Tax Return you need to enter in an alignment journal to make your financial reports match theirs before you can roll your data file over to the next financial year. This can be tricky if you’re not familiar with financial reports and journals however don’t worry because we’re here to help. Once you’ve received your financial reports from your accountant all we’ll need is a copy of your data file and financials then we can do the necessary work to get your financial into the next financial year. Once you’ve entered in your Year End Alignment Journal it’s time to roll your MYOB data file. Clients are able to get us to roll the file and send back the live file so they can continue data entry or clients are able to roll their file themselves with support from us over the phone. We know that rolling your MYOB data file into the next financial year can be a tricky task but with our help we can get the job done quick and easy. As well as bookkeeping services, we also provide regular or casual training and support for our Xero, MYOB, Quickbooks, Sage One, clients. Training can be done in a number of ways to suit your needs. You can select to be trained in your office, in our office, via remote access or over the phone. We’re completely flexible and are able to adjust our training methods to what works best for you. Onsite training is also provided outside business hours and on weekends however surcharges may apply. Are your invoices, letterheads and forms boring? Contact us today to find out how we can make yours stand out from the rest. We have a number of experienced staff able to customise your Xero, MYOB, Quickbooks, Sage One, invoice and statement templates, letterheads etc. Don’t just blend in with everyone else. Find out we can make your documents STAND OUT. Want to know if your business is making a profit or if your sales have increased this year compared to last year? Why not take advantage of our Management Report Services. We offer both Quarterly Management Reports and Monthly Mini Management Reports. Each report contains a number of Key Performance Indicators (KPIs) which are important for every business owner to know in order to succeed as well as Graphs which we have put together using your financial reports because we know for some – a picture tells a thousand words!